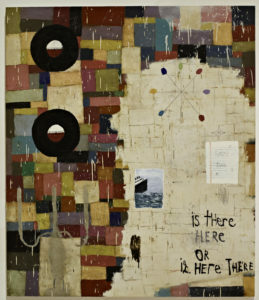 James Harris Gallery | Squeak Carnwath: "Here Is"
James Harris Gallery is pleased to present Here Is, our third solo exhibition by Squeak Carnwath. 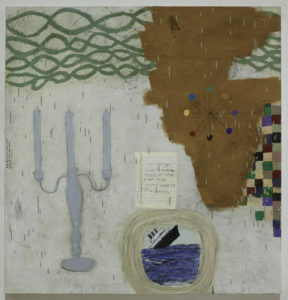 The artist continues to develop a highly individualized visual language that derives from the history of art and personal associations, molding a dialogue that is at once static and ever changing. Here Is is an exhibition that explores our collective and individual responses to representation and memory. 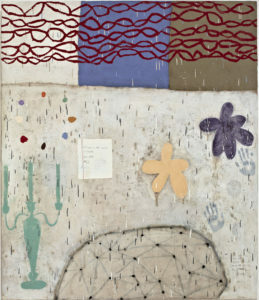 Carnwath employs words, object images, pattern, and stunning color to speak about the body and mind in a metaphysical ablution of paint. 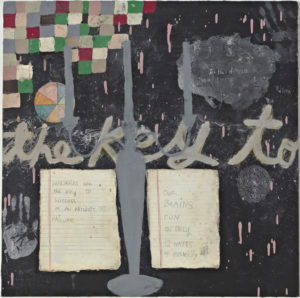 Squeak Carnwath is a painter and printmaker who uses text, color field painting, and a wide variety of recognizable symbols to make interesting, engaging, and relatable works. 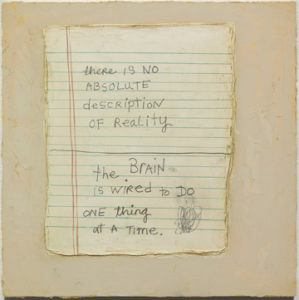 Her works have the intimate feel of a diary, but acknowledge universal themes that are familiar to every viewer. 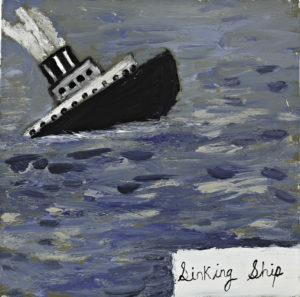 Her paintings work together to form a kind of visual conversation within the spaces that they are displayed. 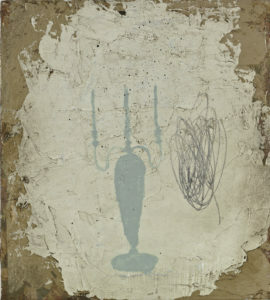 Carnwath utilizes traditional painting techniques such as trompe l’oeil and symbolism, while also making statements that question the viewer’s thoughts and emotions. 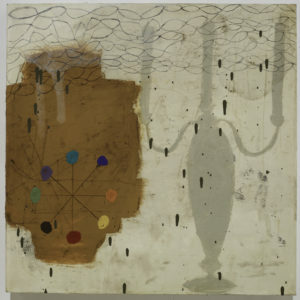 Carnwath wants the viewer to make connections between words, objects and shapes; connections that often evoke moments of humor and sadness. 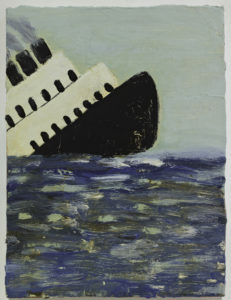 Carnwath currently lives and works in Oakland, California. 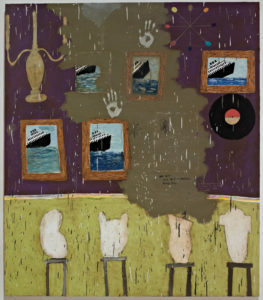 She has received numerous awards including the Society for the Encouragement of Contemporary Art (SECA) Award from San Francisco Museum of Modern Art, two Individual Artist Fellowships from the National Endowment for the Arts, a Guggenheim Fellowship and the Award for Individual Artists from the Flintridge Foundation. Carnwath is Professor Emerita at the University of California, Berkeley. Oil and Alkyd on Canvas over Panel"